Welcome you, dear colleagues and partners ! 8 -10th September in Germany, Hildesheim, has passed the fair ! 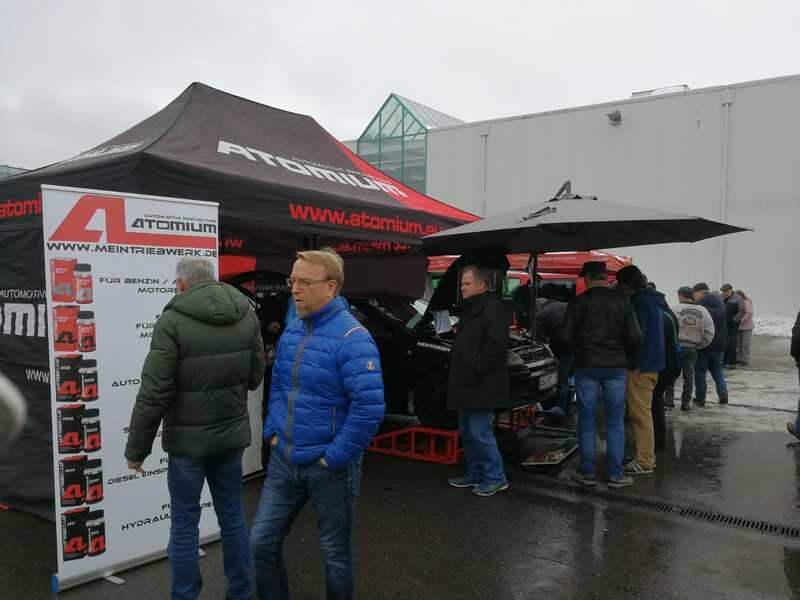 Our company together with dealers in Germany - traditionally showed the car running without oil ! Despite severe weather conditions, parts of hurricanes has come to Northern Germany, our colleagues coped with challenge . 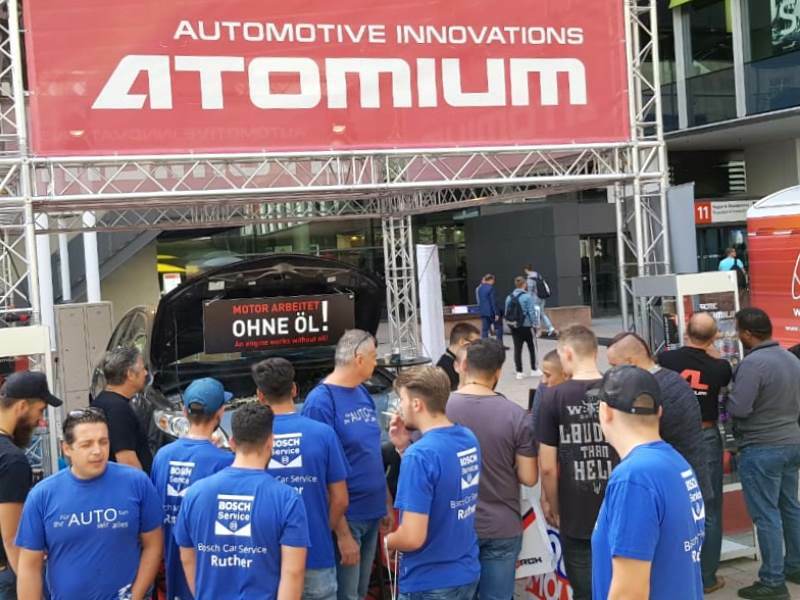 In Northern and southern Germany - a demonstration of a car running without oil - leads to shock the visitors and significantly boosts the growth of sales ! Photoreport on the event attached ! Up to new meetings in the air ! In this case, the standard was shown the engine running without oil, which is of great interest to the products Atomium of the company SUPROTEC EU. The exhibitions in Germany will continue, and we will keep you posted. We are pleased to inform you that from April 28 - may 1, 2017 has passed the Second level and scale of the Largest Exhibition in Germany Tuningworld Bodensee, Friedrichshafen. 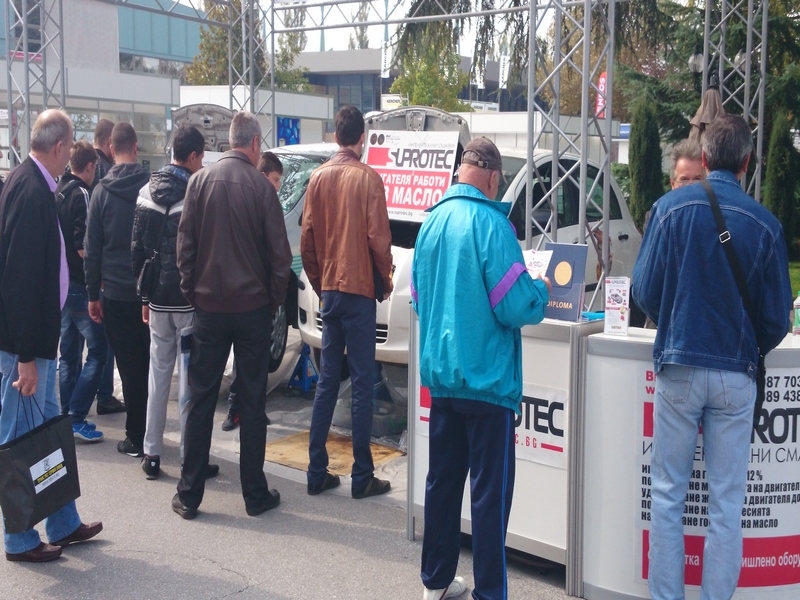 At the exhibition stand with running the car without oil for the second year attracts more and more visitors. This year, the demonstration of the machine just blew the whole show ! To stand lined up in long queues not only from just looking , but wanting to buy the company's products Suprotec EU (brand Atomium). Purchased products for treated all types of engines and boxes, bridges, gearboxes. Many of who bought and processed the car last year visited the stand this year and brought along family and friends, to illustrate the result and effect that they felt on their cars. Our company will continue to please you with news and interesting photos with a whole series of exhibitions this spring and summer ! 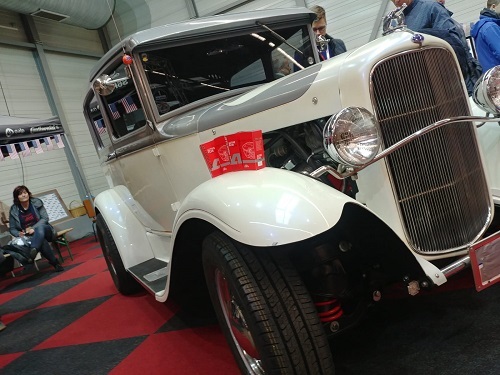 The company Suprotec EU attended 19. vintage automobile exhibition AUTOSHOW PRAGUE, which took place in the days of 22.-25.09.2016 at the exhibition centre Prague Holesovice. Look how it was! 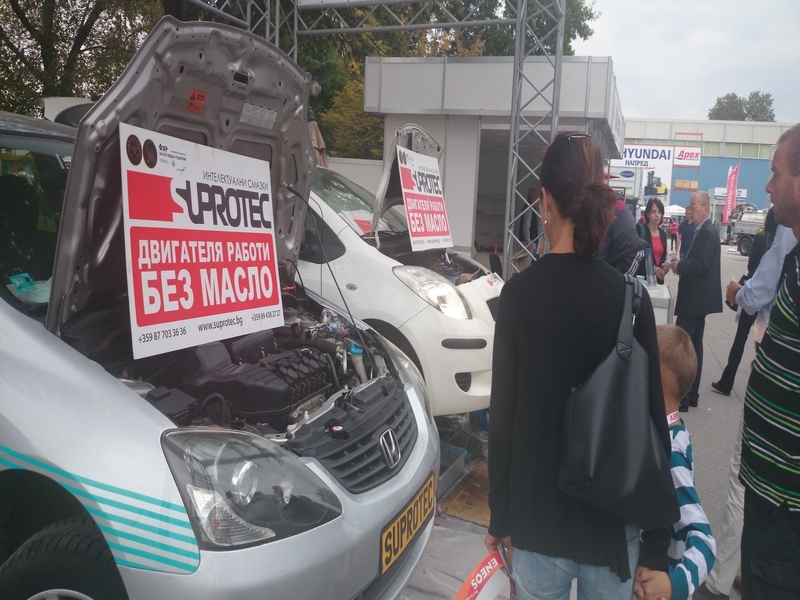 In Kaunas, at the exhibition "Auto Dienos": submitted by the Russian technology "SUPROTEC". In "Zalgiris Arena", leading companies whose products are in demand in this Eastern European country, launched their stands. Among them – the official dealer of the brand "Atomium" http://atomium.eu/. Recall that in the global market triboactive and the products of the St. Petersburg company are sold under this trademark. Exhibition in Kaunas will be held from 16 to 18 September. During this time, guests of the forum will be able to get more information about the line "Atomium" and their properties, see the car, whose engine, thanks to tribalistas, works without oil, and purchase products at special prices. Atomium will be presented at the exhibition TUNING WORLD BODENSEE in Friedrichshafen from 5 - 8 of May. We invite You to take part in the exhibition MOTOTECHNICA, which will be held on January 16-17, in Augsburg, Germany. The exhibition will traditionally present machine that is working without oil. Also a full line of the products of the Atomium. We will be glad to see you all ! we would like to inform you that a christmas sale of 20% on the range of our products ends already this Sunday 10.1.2016. Take advantage of these the last few days to purchase our products at great prices!!!! New consumer testimonial about Atomium effect on his Nissan X-trail with 200000+ km on odometer. 18th automobile exhibition "AUTOSHOW PRAHA"
1-4 of october, company ATOMIUM will participate in the 18th automobile exhibition "AUTOSHOW PRAHA", on the Výstaviště Praha Holešovice. You can find us on the street (see scheme booth location ATOMIUM). We are welcome You at our stand! New test drive of Mazda 6 from Second Test! 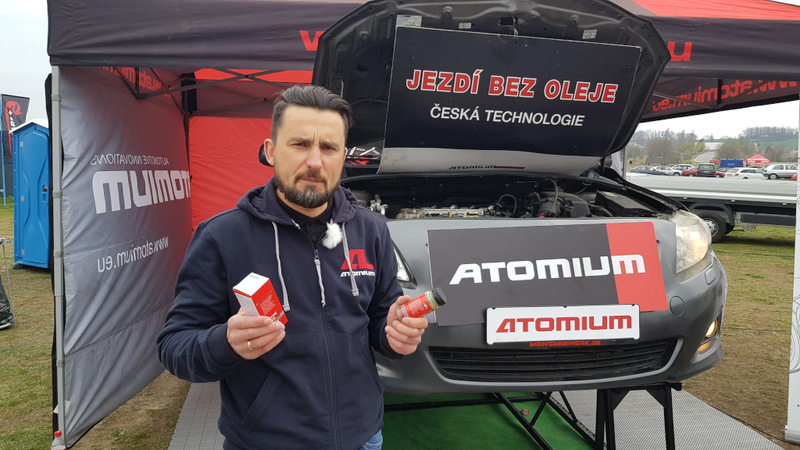 Please, support us in greeting our new distributor Viktor Ignatiev, who joined us to support the launch of Atomium brand in Canada. We wish our new partner to build strong network with reliable partners and achieve sufficient results by penetrating Atomium products within various consumers in the market. Please, support us in greeting our new distributor Dmitry Klezovich, Atomium-Iberia, who joined us to support the launch of Atomium brand in Spain. We wish our new partner to build strong network with reliable partners and achieve sufficient results by penetrating Atomium products within various consumers in the market. 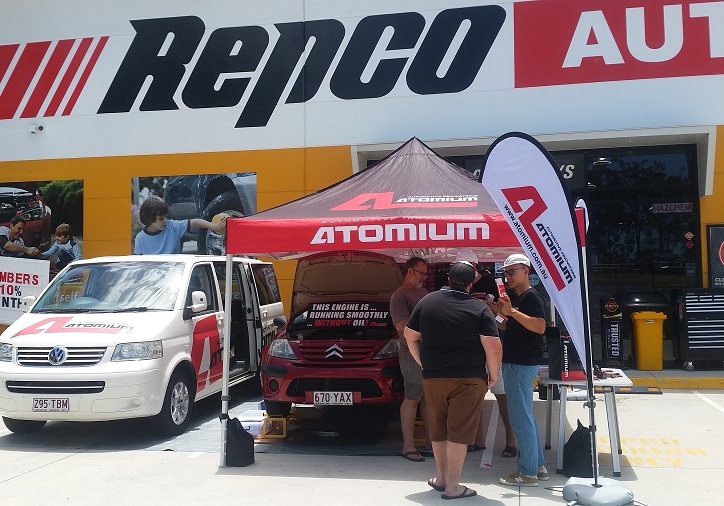 Atomium performed splendid and awesome promotion days with Toyota Corolla running without engine oil for 3 days in July 2015 in Metropole Comercial Center Zlicin Prague.